In 1997, a restoration project began in one of South Africa’s most breathtaking landscapes – Samara Private Game Reserve near Graaff-Reinet in the Great Karoo. Eleven degraded and overgrazed livestock farms were purchased, internal fencing torn down and the land allowed to rest. As time went by, indigenous wildlife was slowly reintroduced, from the first cheetah back in the region in 125 years to the desert-adapted subspecies of the Critically Endangered black rhino. Exciting as the reintroductions have been, the real measure of Samara’s conservation success has been the wildlife species that have returned of their own accord. In 2014, a leopard was spotted in a camera trap on the property. Persecuted for decades by farmers due to their perceived threat to livestock, the few leopards that remain in the region tend to stick to remote mountainous areas, where they roam across vast territories. 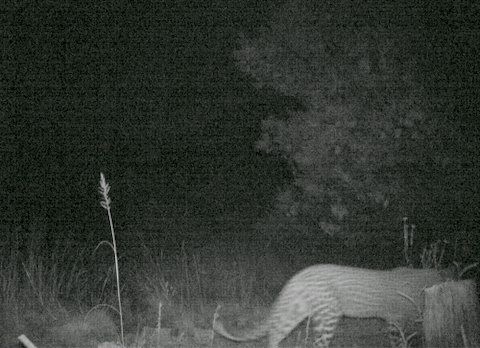 The camera trap and subsequent spoor sightings give us hope that these beautiful cats may one day return for good. Our most thrilling conservation success to-date however has been the recent discovery of ten Cape Vultures on the mountain grasslands section of the reserve. These birds of prey are classified by the IUCN as Endangered, with fewer than 10,000 individuals remaining worldwide. Confined to Southern Africa, many of them breed in the grassy mountainous regions of South Africa’s Eastern Cape and Lesotho. According to Dr André Boshoff, an expert in raptor ecology, there is evidence that before European settlement, thousands of Cape Vultures migrated westwards towards the grassy Karoo in the summer to exploit the plains game that benefited from an increased food supply after the Karoo’s summer rains. Indeed, one of the mountains on Samara is called Aasvoëlberg – Afrikaans for Vulture Mountain. Come winter, they would return to their breeding sites in the east.  Mortality resulting from a range of human activities then substantially reduced these numbers by the turn of the 20th century. Lone birds had occasionally been seen in the Graaff-Reinet district, and Samara had been witness to sightings of these ‘summer visitors’ three times over the past few years. 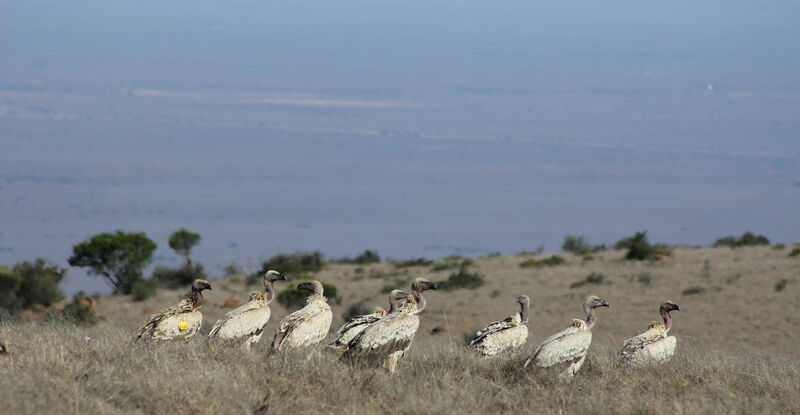 It is suspected that these individuals formed a tiny remnant of the past migration, so the return of a substantial group of 10 vultures is a true cause for celebration. The Cape Vultures, also known as Cape Griffons, were spotted feeding from a recent cheetah kill of a black wildebeest, and remained on Samara for several weeks. One of the vultures was tagged as N165. This individual had been captured and tagged in January 2016 at the Oribi Gorge vulture restaurant and breeding colony, explains Kerri Wolter of VulPro – a full 540km away! Much maligned and misunderstood beasts, vultures are in fact critical determinants of healthy ecosystems, and we are delighted that the fruits of conservation efforts, both at Samara and by conservation programmes across Southern Africa, have yielded such results. Long may these conservation successes continue.